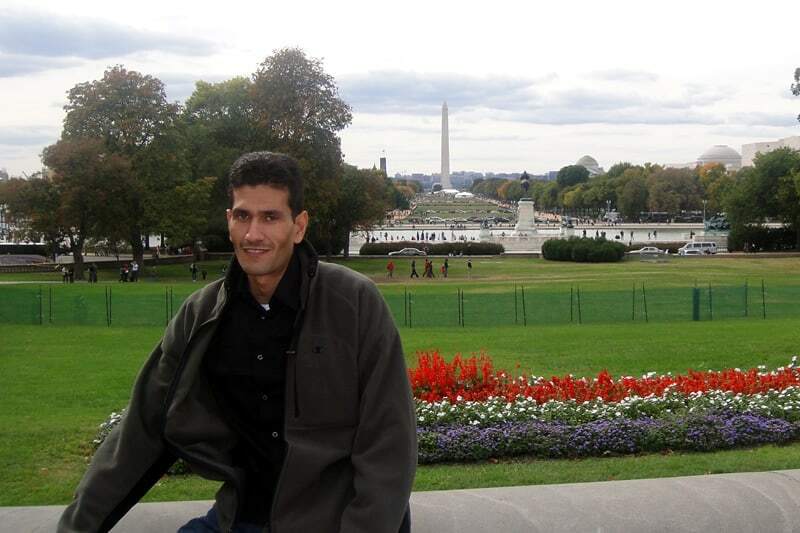 Sebghatullah Ebrahimi ‘10L: Compliance Officer with Relief International Six years after receiving an LL.M. degree from W&L Law, Sebghatullah Ebrahimi has returned to the U.S. to continue his legal career with an international humanitarian organization in Washington, D.C.
Sebghatullah Ebrahimi was one of two Afghan law students who came to W&L Law in 2009 to complete a Masters in U.S. Law degree, hoping that exposure to U.S. laws and legal systems would help stabilize his home country’s legal sector. Now, after six years, Ebrahimi is back in the U.S., and recently began work for Relief International, a humanitarian, non-profit agency providing emergency relief, rehabilitation, and development assistance to victims of natural disasters and civil conflicts. Ebrahimi and fellow student Mohammad Asif Ehsan came to the U.S. in 2009 under the auspices of the Public-Private Partnership for Justice Reform in Afghanistan, a joint effort between the U.S. State Department’s Bureau of International Narcotics and Law Enforcement Affairs and the American legal community. Ebrahimi previously worked in Afghanistan with the United Nations Entity for Gender Equality as a program officer and with the United States Agency for International Development (USAID’s) Land Titling and Economic Restructuring in Afghanistan program as a senior legal advisor. After completing his L.L.M. degree at W&L Law, Ebrahimi returned home where he resumed work with the United Nations and the USAID, managing multi-million dollar rule of law, law reform and human rights projects. However, because of security challenges, he was compelled to leave Afghanistan and move to the U.S.
Ebrahimi has eleven years of experience with the UN, USAID, NGOs and government. He has extensive expertise in coordinating and planning multi-million dollar grants and contracts from design to implementation, as well as monitoring and evaluating projects from a compliance perspective. Most of his experience has been in the field, especially in Afghanistan, and focused on human rights, law reform, humanitarian efforts and development. In late 2015, because of security challenges that he faced, he emigrated to the U.S. with his family. He recently started working for Relief International as a Grants and Contracts Officer dealing with compliance issues in Asian, including Afghanistan. Working for a worldwide, non-profit organization in the heart of Washington, D.C. has been a dream job for Ebrahimi. In the years to come, Ebrahimi plans to obtain a J.D. degree as he continues his quest to become a notable U.S.-trained lawyer.